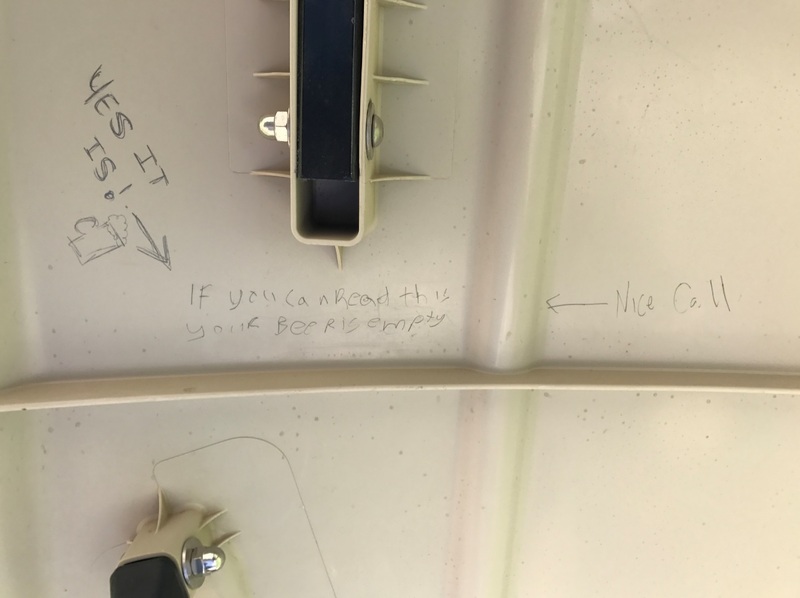 Tilted my head and noticed this written on the roof of my golf cart. Nice try (apparently popular) vandalism guy, I was actually emptying the crumbs at the bottom of a bag of chips. Though I did take your suggestion and made a pit stop at the clubhouse and grabbed a drink as it was a hot day. This entry was posted in Miscellaneous and tagged Beer, Funny, Golf, Mild Vandalism. Bookmark the permalink.